Three years ago, the situation felt almost hopeless. 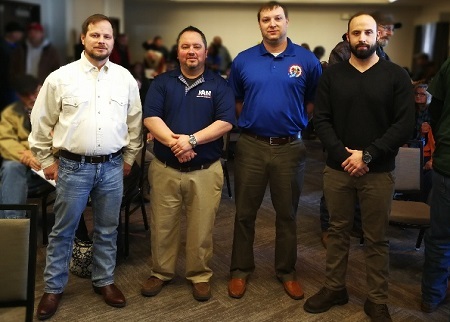 In one of the worst winters on record, members of IAM Local 219 at Bluegrass Station in Lexington, KY walked the picket line for nearly six months. This group of warehouse workers, who offer logistical support for our Armed Services, had their own fight to take on. Tony Blevins, Southern Territory Grand Lodge Representative at the time, watched as these workers literally changed the future for those who would come behind them. That solidarity set the foundation for the future of this group at Local 219. 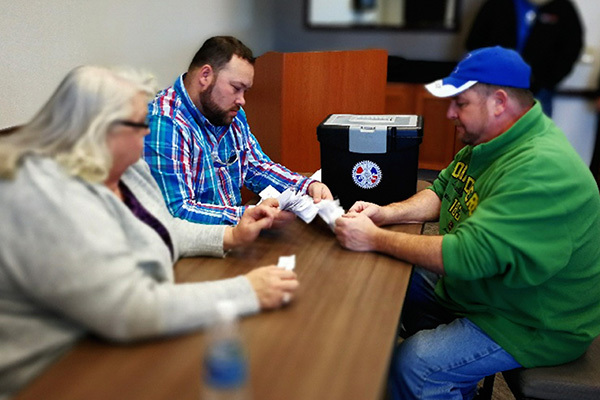 Fast-forward three years and their sacrifice is evident in each and every line of their new contract, which was overwhelmingly ratified by the membership this week. A good contract is exactly what this group of close to 140 members received. Three years, with a two percent raise yearly that brought everyone up to, or in most cases above, area wage levels. Strong increases to their health insurance that equate to savings of thousands of dollars for many over the life of the contract. Fifty-six hours of paid personal leave and an improved 401(k). But the drum roll moment is that now these Machinists will reap the benefits of the IAM Pension Plan, something they never dreamed of just a few years ago. You can hear it in his voice that Benson is very proud of what this contract will do for workers at Bluegrass Station. Not just union members, but for all workers in this area.